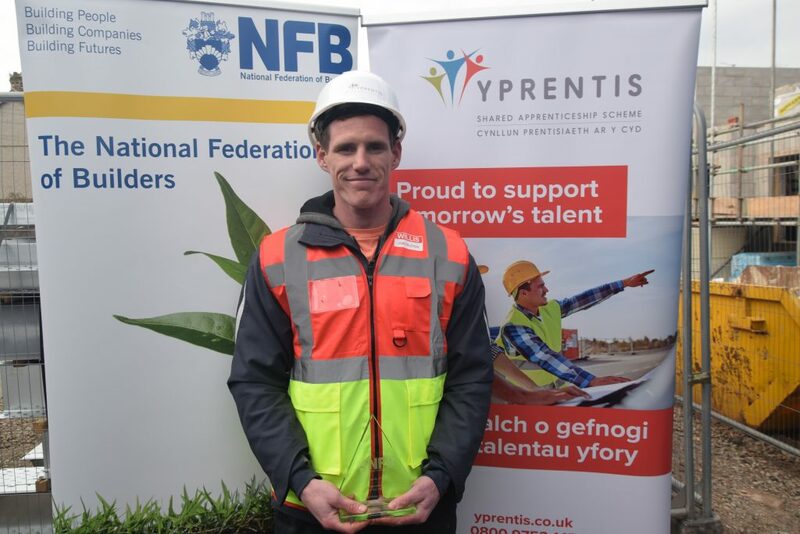 Carpentry apprentice Andrew Hardy has been named NFB Apprentice of the Year at the prestigious NFB awards held at the Belfry Hotel & Resort on Thursday 4 April. 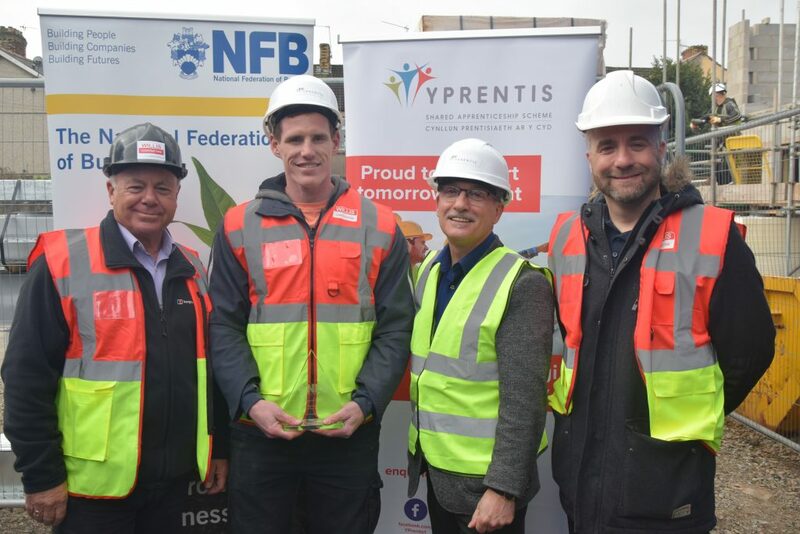 Andrew [pictured left], a carpentry apprentice from Pontypridd, is one of Y Prentis’s older apprentices who is currently placed with Willis Construction. He has been employed as an apprentice since April 2018 and is studying towards his Level 3 NVQ and diploma in site carpentry at Coleg y Cymoedd. He also takes an evening course to complete his Level 1 Diploma in Plumbing in his spare time. 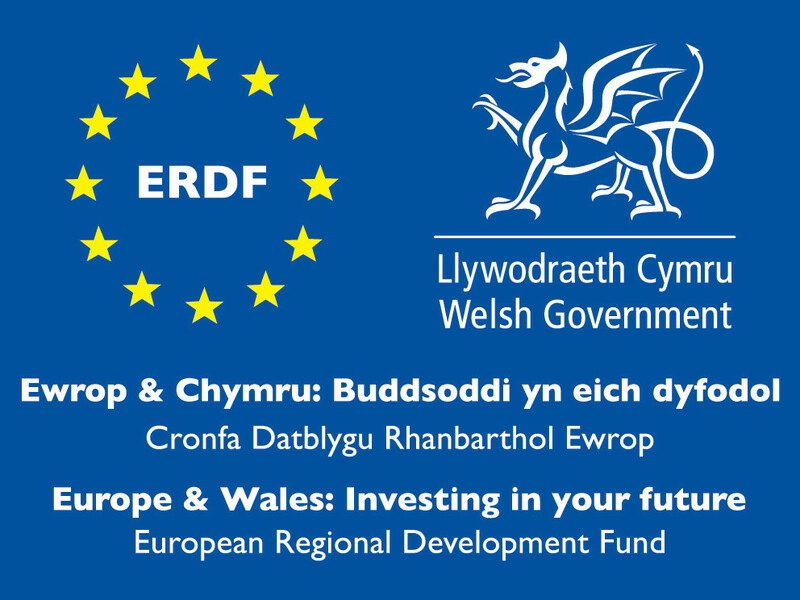 Throughout his apprenticeship, Andrew has worked on a number of sites with Cadwyn Housing Association and the Vale of Glamorgan Council. 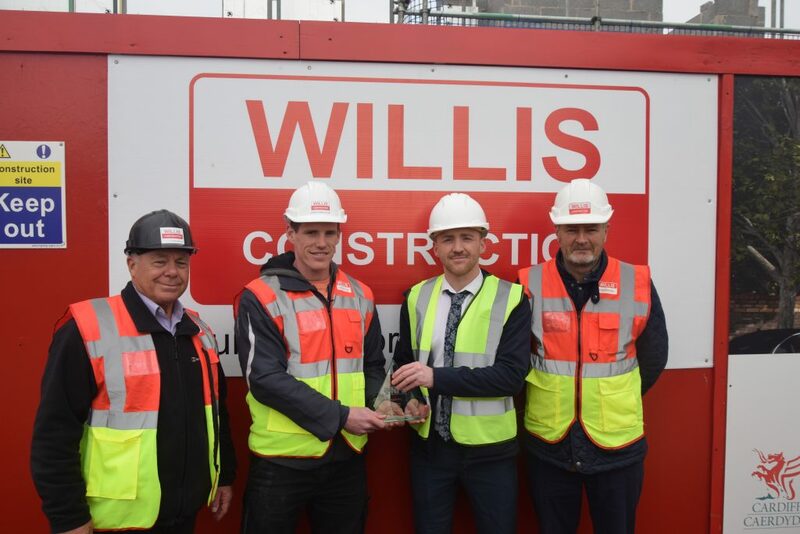 He is currently working on the development of the playgroup facilities for Wick & Marcross Primary School and is trusted by Willis Construction to carry out additional work beyond what is expected of an apprentice. The seventh annual NFB awards ceremony took place at the prestigious Belfry Hotel & Resort on Thursday 4 April. 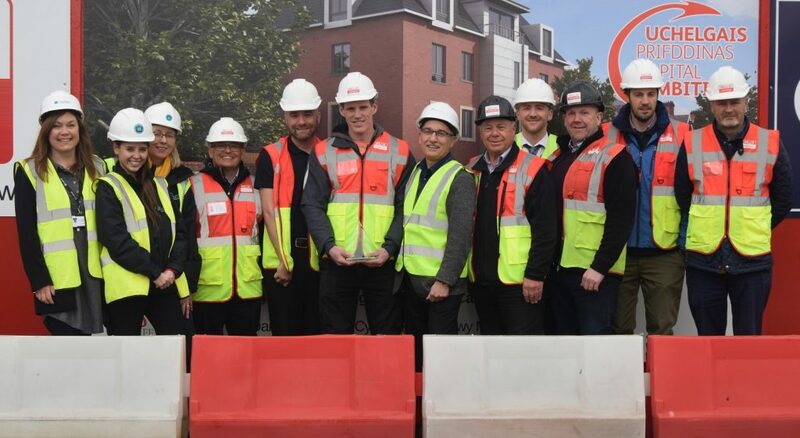 The event saw construction companies and industry figures from across the UK gather to celebrate the outstanding contributions made to the industry. Andrew is also shortlisted for FMB Cymru’s Master Builder Awards, which you can read more about here.